Master T?an Yang Wu began his studies in Feng Shui at a tender age of 19 under the careful instruction and guidance of Master Yong Chin Lu who was 70 at that time. He later learned Yin Feng Shui from another Master and realized that his was not accurate. On finding this out, he apologized publicly via a newspaper for the unfortunate mistakes and promised to compensate former clients for these mistakes and re-do their Feng Shui at no extra charge. In 1922, Master T’an Yang Wu started a Feng Shui school at No.716, Chentu Road, Shanghai, while continuing to carry out inspections. 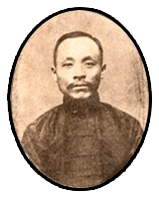 In 1923, he authored his first book entitled ?T?an?s San Yuan Xuen Gong Feng Shui? which dealt with the theory of Yang Feng Shui (living) and Yin Feng Shui (graves). In 1924, he authored a second book with the same title as above and concentrated on the practical experiences, analysis and research that he had carried out and observed over the years. The books were authored for the purpose of sales in China, but unfortunately during the Japanese occupation of China and the subsequent communist takeover, all the books were either burned or destroyed with the exception of one book each of the two books. Master T?an handed these books over to Master Sui Beng with the intention of avoiding extinction of the art. These books were later handed down to Master Leyau, which he later republished. It should also be noted that with the unfortunate destruction of the books only Master Eu See Ying @ Yen Pen and Master Sui Beng carried down the knowledge.